The bad news just keeps rolling in for the Ivanka Trump fashion brand. In the latest development, an investigation by Agence France-Presse alleges that the Ivanka brand imported 59 tons of clothing, bags and shoes from China, which were "steaming toward American ports" by ship as of Jan. 20. The date is significant because it was inauguration day for Ivanka Trump's father, Donald Trump. During his inauguration speech, Trump reiterated a consistent theme of his presidential campaign, pledging to "buy American and hire American." The news from AFP broke in the U.S. earlier this week, just as President Trump was launching a campaign-style tour to keep his "buy American" message running. “I know you’re competitors, and you’ll always be competitors, but we’re all on the same side on … keeping jobs in America and creating new jobs in the United States,” Trump said at the American Center for Mobility. That message seems to have been lost on first daughter Ivanka. AFP's Ben Dooley examined U.S. Customs bills of lading as evidence for his story on the Ivanka brand's China connection. According to AFP, "at least eight shipments" were under way on inauguration day, including thousands of blouses, leather wallets and footwear. That's just the tip of the iceberg. AFP also found Customs records for 82 shipments from China that occurred in just under four months between Election Day and Feb. 26. "Trump uses his presidential pulpit to censure manufacturers -- both domestic and foreign -- for using overseas labour to make goods for American consumers, but the Ivanka-branded orders have kept rolling in." Dooley further observed the irony of President Trump lashing out at top retailer Nordstrom on Twitter in February after the company dropped the Ivanka brand, even as the company continued to undercut his signature "buy American" message. The irony is compounded when you consider the ripple effect of the president's notorious anti-Nordstrom tweet. After tweeting, "My daughter Ivanka has been treated so unfairly by @Nordstrom," on Feb. 8, top advisor Kellyanne Conway stepped in to support his daughter's business. Soon after the Feb. 8 tweet, Conway plugged the Ivanka line during a television appearance. That embroiled her, and the Trump administration, in a serious breach of federal ethics rules. While the legal consequences of Conway's remarks were playing out, the appearance reportedly sparked a surge in sales for the Ivanka brand. Presumably that surge was due to interest on the part of President Trump's supporters. The problem is the merchandise Trump supporters bought in response to Conway's plug was likely not "made in America." In short, consumers who thought they were supporting President Trump and his pro-America message got scammed. 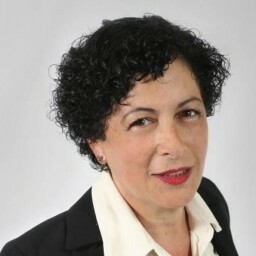 TriplePundit has been exploring the efficacy of boycotts -- or lack thereof. And this latest news about the Ivanka brand goes to the issue of reputation. A study of effective boycotts indicates success is elusive. Boycotts fail often, and especially if the target is a strong company with a good reputation. Boycotts are more effective when the target company is already showing signs of weakness in terms of its public reputation. That's the problem that has plagued the Ivanka brand since Donald Trump began campaigning for president on a platform heavily laden with anti-Muslim and anti-Mexican rhetoric. The Trump connection rumbled under the surface throughout most of the campaign, but it burst into fiery effect in the run-up to Election Day after brand strategist Shannon Coulter launched the #GrabYourWallet boycott campaign. 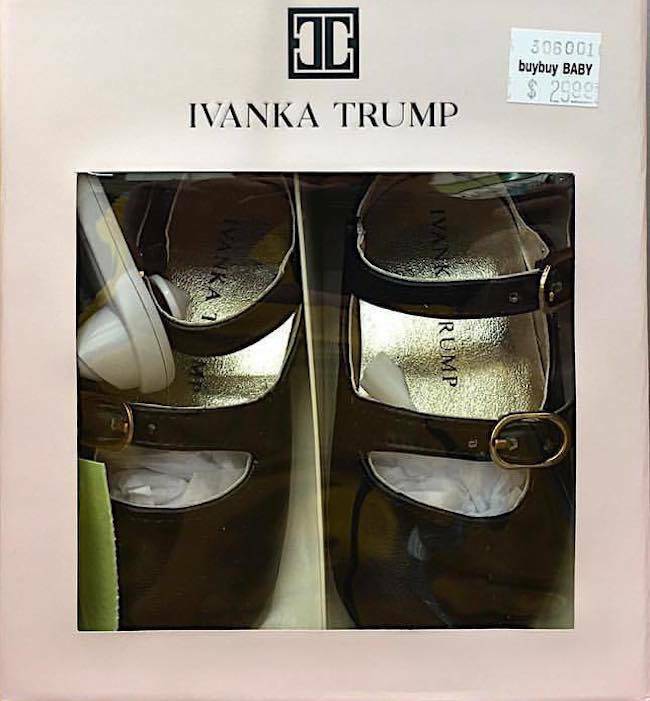 Rather than narrowly targeting Ivanka products, Grab Your Wallet cannily aimed at retailers carrying Ivanka products. By Coulter's measure, the campaign has been a success. "Since the presidential election, retailers that are being targeted by an anti-Trump boycott have dropped 3,600 Trump-branded products. "That represents a 61 percent drop in products since Nov. 23." Earlier this month, Ivanka supporters launched a fusillade of reports that sales surged in February despite the boycott. However, on closer examination, reports of a consumer run on the brand are mixed, and Coulter notes that an additional 14 retailers dropped the brand in February. If the Ivanka brand continues to retract or goes belly-up altogether, it will take some deeper digging to determine whether or not the #GrabYourWallet boycott played an instrumental role. If #GrabYourWallet does prove effective, part of its success could be due to the way that Coulter has harnessed President Trump's weapon of choice -- Twitter -- and deployed it against the Ivanka brand. Rather than simply issuing information about which retailers are carrying what products, Coulter's Twitter account has become an interactive online community where supporters meet like-minded souls and swap news, tips and team messages. "Simply install the plugin, open Chrome, and use it as you normally would. Whenever you happen to be on a website that’s currently on the #GrabYourWallet boycott list, you’ll get a simple, helpful alert," reads the Chrome extension page. #GrabYourWallet also networked in with the successful Sleeping Giants boycott campaign, which targets companies that advertise on the Trump-friendly news organization Breitbart, which formerly employed the powerful presidential advisor Steve Bannon as executive chairman. Sleeping Giants lists more than 1,500 companies that have blocked automatic ad buys from appearing on the Breitbart site. Photo (cropped): by Jonathan Bowen via flickr.com, creative commons license.